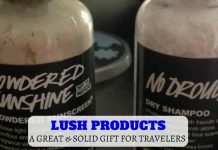 I’ve been very lucky over the past few months and been given various travel products to trial out as I travel. I’ll be honest, when Butterfly Twists sent me their Madison boot in Pewter to trial out, I wasn’t sure what to expect. In 2007, two brothers and their two oldest school friends made a bet that saw the unluckiest of them attending a party in a pair of six inch statement stilettos. What started as a joke, however, gave the boys the idea that would change their lives; a new found solidarity with the women enduring evenings out in towering heels started a conversation about footwear that might deliver a little glamour, without ruining a good night out. And so, armed with the first hand knowledge that shoes should be comfortable, and comfort shouldn’t have to mean forgoing fashion, in two years the boys got together a design team to “combine a consideration for style and luxury with comfort and versatility”. The company offer a variety of women’s shoes: Ballet pumps, Hi Tops (which is the branding my Madison in Pewter fall under), Wellies and Slip One. 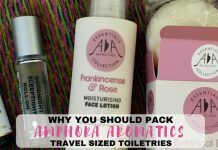 These last two are probably because Butterfly Twists went to great lengths to ensure their soles are flexible and featherweight, so it really does feel as if you’re not wearing shoes at all – which is perfect for travelling! But oh look, when you look down, even after a long day trekking around a city centre seeing the sites, even though you may not feel it inside, I at least still looked a little glamorous on the outside. I think the boots would be perfect to wear at concerts / festivals, especially in the UK where it rains so much! I intend to buy a pair of boots myself for those long walks in the wet British countryside. 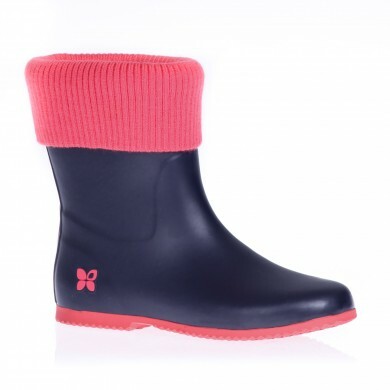 Butterfly Twists’ Eton Wellie in Navy and Coral – my favourite wellie! Source. Thank you for providing me with a free pair of Madison Pewter trainers to trial out. I have only had them one month, so cannot comment on the longevity of them. I feel able to wear them with long black trousers, so they’d look smart enough to a semi-formal meeting, yet also for long sightseeing trips too. I highly recommend to go to their website, check out their prices and try for yourself! 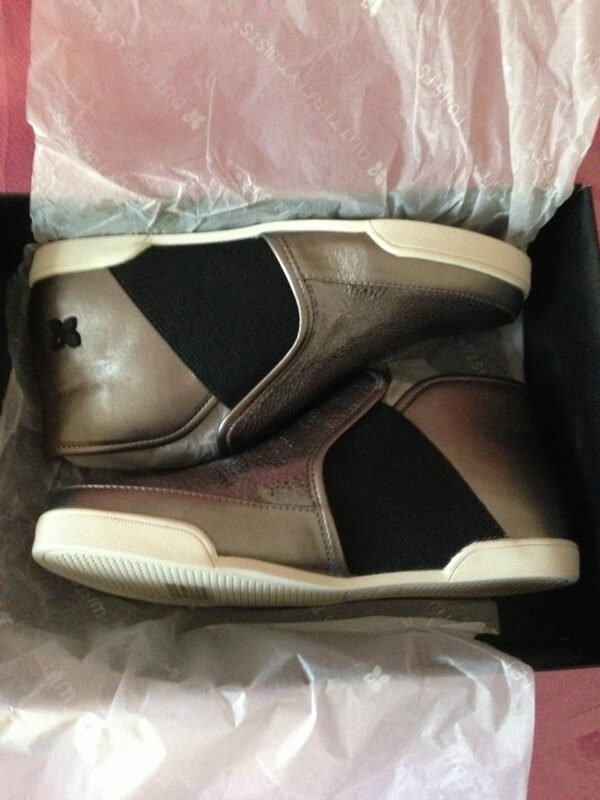 These look like pretty nice shoes! I should recommend them to my friend who refuses to pack dress shoes when going to a conference. So all she wears is running shoes, which don’t really go well at a banquet. I could see here wearing a pair of those pewter Butterfly Twists! They’re practical and comfy too Doreen. And yes, they look pretty good too. 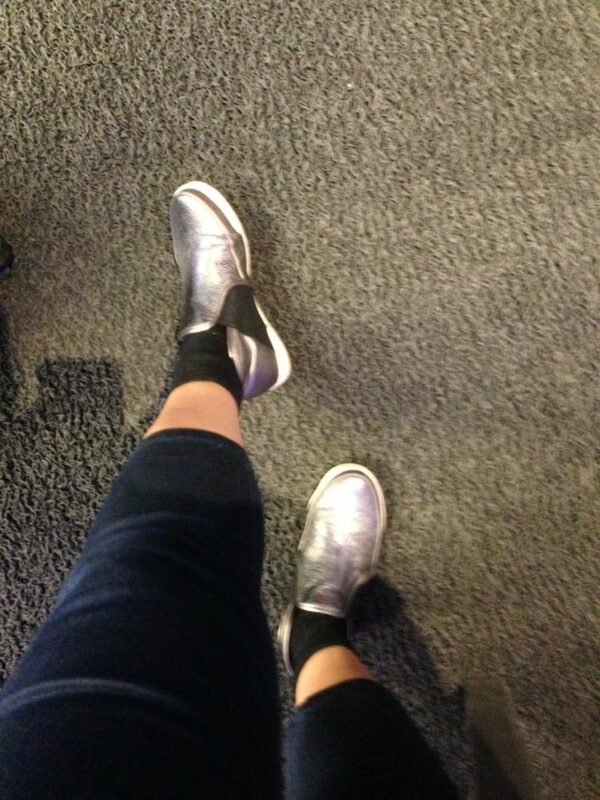 I like the look of those pewter and will definitely try them on if I see them in a shoe store. I do love a comfortable shoe! They look great. Someday will have to give them a try. 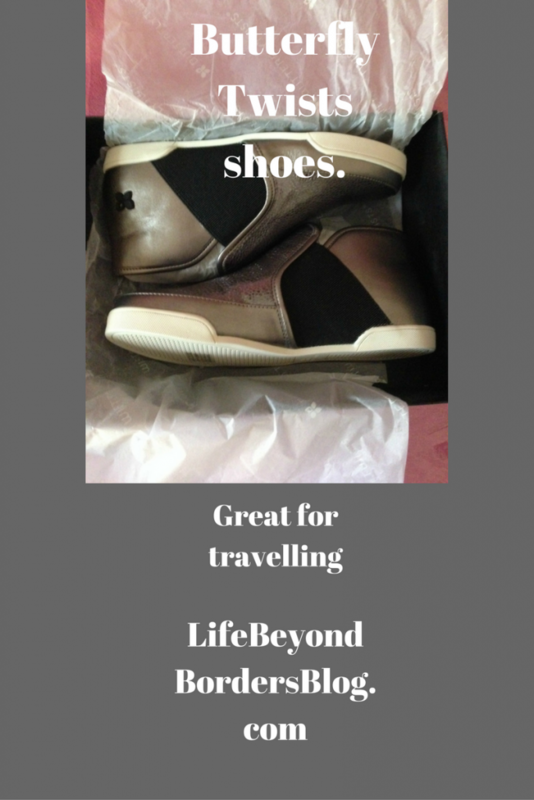 Lightweight shoes are so important with all the airline baggage restrictions! I’ve also gotten used to wearing lighter shoes and my feet seem to tire more when I wear heavy ones. Yes, I agree Irene. And these are so comfortable and look great too! I can always use shoe advice! Butterfly Twists are stylish and do look comfortable. I’ll be checking out their website!! As i’m struggling with two huge blister on my heels, I was very interested to hear about Butterfly Twists and will look into them for sure as soon as I get home! 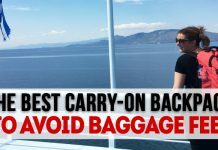 I’m always looking for lightweight shoes to travel, especially boots that take up little room or weight in my luggage. Thanks for bringing these to my attention! I find them really comfortable, I have to say!